Our Swim Babies programme is designed especially for babies just starting out up to little swimmers. 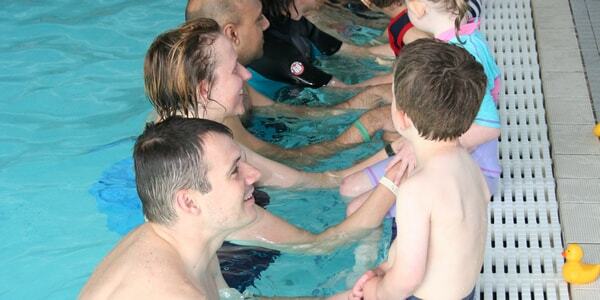 A gentle and progressive learn to swim and water safety programme. We always work at each child’s individual pace with age appropriate practices. Our 3 stage programme will help you and your child learn safe behaviour routines. 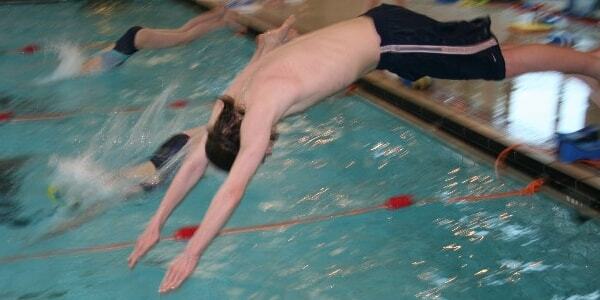 We cover under water swimming and water safety skills. This enables your child to jump in, turn around underwater and swim back to the side. The focus is on constant safe supervision and water safety. Our lessons take place in a safe, positive and fun environment. You can start baby swimming classes when your little one is 4 months old and continue through our programme until they reach 3 years old. 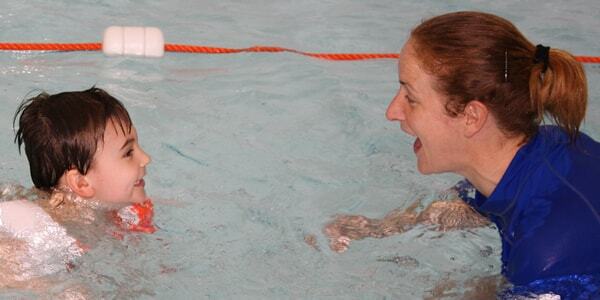 The later stages of our Swim Babies course prepares children for swim classes without Mum or Dad. When they are 3 years old, children can move into our children’s lessons and continue right up to the age of 12. Q. How do you teach babies to swim? A. We teach you to teach your baby to swim in a FUN and safe environment. Teaching your baby a potentially life saving skill is also a great way to have fun and bond with your baby. Q. What will babies learn? under water swimming, water safety skills and the Safety Sequence. A child who is confident in the water will tend not to panic if they should accidentally fall into water. Q. Do I have to put my baby under water? A. We only ever submerge a baby when both you and your baby are ready. Although submersions are part of our programme, they are not the main focus. For safety purposes submersions are limited and spread out during the lesson. A. Classes have a maximum of 8 child and parent pairs. This creates a great social atmosphere but also allows for individual attention where needed. Q. How do your courses run? A. Typically, 3 courses are run per year in line with school terms. Each course lasts about 12 to 14 weeks. Q. Do you have an awards scheme? A. As part of the Seriously FUN award scheme, your child will receive a FREE personalised certificate with your child’s name during our presentation ceremony at the end of term. Your child will also receive a FREE awards file to keep safe all those hard earned certificates. Q. How do I re-book for another course? the office or sending payment by post. A. Yes, existing customers can pay in 2 instalments by cheque. The 1st instalment is payable when booking and the 2nd instalment is post dated for the start of term. Q. What are safe behaviour routines? A. From your babies first lesson they will start to learn safe behaviour routines. These routines become more important as your baby begins to walk and talk. No child is ever ‘water safe’ or ‘drown proof’ so it is the responsibility of adults to ensure children are safe. Insisting on safe habits around water at an early age could safe your child’s life. Term time weekly lessons and school holiday intensive courses for children of all abilities. We have a maximum of 6 per class (8 in Advanced classes) to ensure every child gets special attention and we can give extra help where needed. 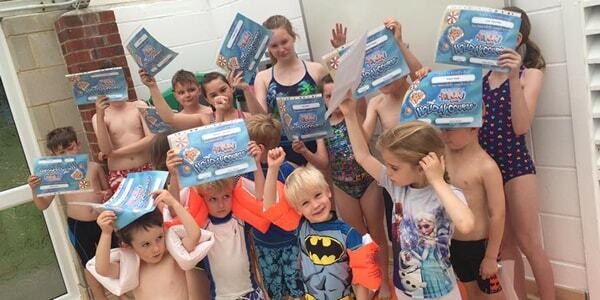 A structured, progressive and FUN Swimming Awards Scheme showing clear progression in our children’s swimming lessons from beginner to advanced levels. At the end of each swimming term we hold our Awards Ceremony and FUN day, a special day for the kids and parents. 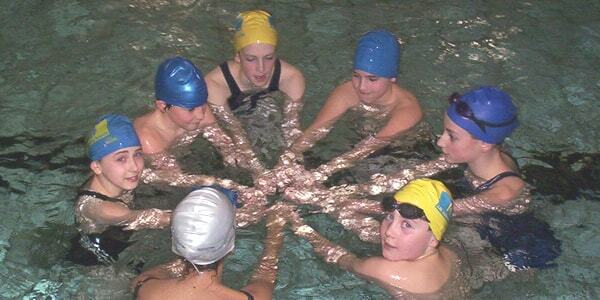 Our child focused swimming instructors are Seriously FUN trained and hold a professional lifesaving qualification. Priority booking system for existing customers with instalment options to spread payments. For non-swimmers who cannot yet swim 5 metres independently on their front and back. 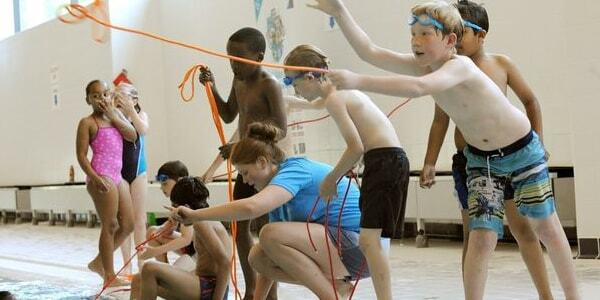 At most venues children will swim out of their depth using arm-bands. This is to encourage children to swim for their whole lesson. Children who can swim about 5 to 10 metres independently on their front and back. Children who can swim about 25 metres on their front and back. They will also need to be able to tread water and be happy out of their depth. Children who can swim about 50 to 100 metres on their front and back in good style. They will be very confident out of their depth and looking to improve style and stamina. Designed for children who would like the challenge of diving, tumble turns, speed and safety awards including swimming in clothes. Classes are run in a similar way to a club but in a more relaxed environment. Double our usual session time. Academy membership Includes a Seriously Fun sweat top, swim hat and swim bag. Like a swimming club without the pressure of attending 3 to 4 sessions per week. Improve style, build stamina and work on technique. Sociable, friendly and relaxed atmosphere. We believe water safety is about learning good habits around water. 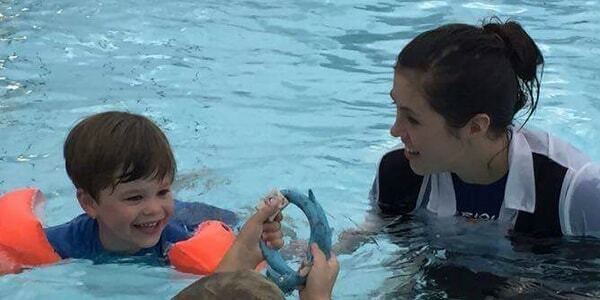 Water safety begins at 4 months with our swim baby programme and continues through our kids lessons. Babies (and parents) learn water safety routines which develop with your child’s age. These safety routines come together as the Water Safety Sequence where children are able to jump in, turn around underwater, swim back to the poolside and climb out. 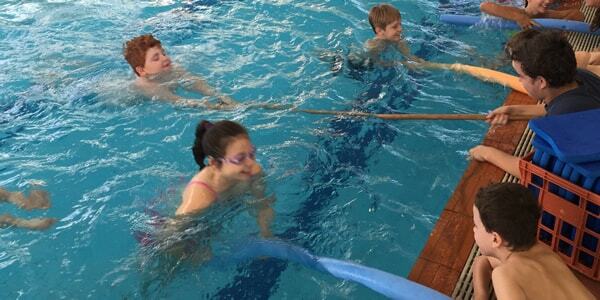 Every child takes part in our water safety lesson which takes place on the penultimate lesson of every term. 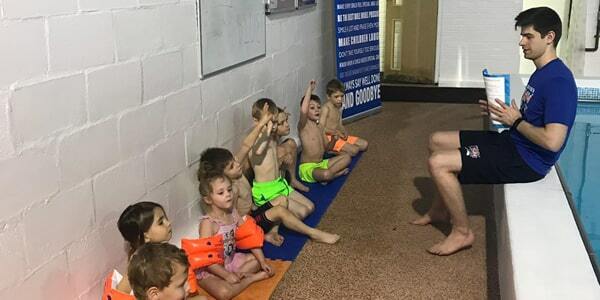 We purposely deliver our water safety message on this specific lesson as it tends to fall in line with holidays, a time when children may be around the swimming pool or sea and most at risk. On poolside, teachers go through the water safety code and age specific pictures to help get the water safety message across to their class. Older children then have the opportunity to swim in their clothes, this helps them to understand the huge difference in weight and effort required to swim while clothed.